Video marketing has been on the rise for the past few years. With 97% of marketers saying that video content has improved prospects’ understanding of their products or services and 76% indicating that it has helped increase sales — you can’t afford to ignore this content marketing format. Studies have shown that video content increases organic traffic from search engines by 157% while 62% of businesses claim that videos have increased the amount of traffic to their websites. Using videos on a website can help increase engagement and dwell time, contributing to an improvement in SEO ranking so searchers are more likely to find your website. Having a video on a landing page makes it 53% more likely to show up on the first page of Google search results. In addition, posting videos on YouTube (which has over a billion users) gives prospects another way to find your content so you can drive traffic to your website. To help search engines understand your video so they can rank it properly, don’t forget to include structured data markup about the video on the website page. Besides driving website traffic, video content also helps convert visitors into customers. It’s found that homepage videos help increase conversion by 20% while landing page videos can lead to an 80% increase in conversion. Videos are particularly powerful for eCommerce sellers whose products have a high “touch and feel” value. In addition, demo videos and video testimonials are very effective in boosting conversion. In fact, 57% of consumers say that videos give them more confidence to make an online purchase. Customers are watching more videos (e.g., explainer, how-to, demo) to help them find products and make purchasing decisions. In a survey, participants indicated that they watch an average of 1.5 hours of videos per day. Videos enrich the customer experience and help you move prospects along the sales funnel more effectively. 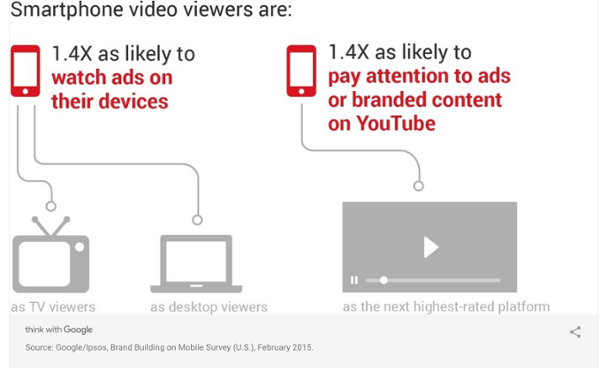 In fact, 43% of people prefer marketers to use more videos. Meanwhile, 81% of businesses are already using video as a marketing tool and almost all will continue to do so. Video content isn’t just for B2C marketing either. According to Forbes, 59% of executives prefer to watch a video than reading text, making it an ideal content format for B2B marketers. Videos on social media are found to generate 1200% more shares than text and images combined. Recently Facebook has doubled down on its investment in video marketing, making it imperative for brands to use videos in their marketing in order to get noticed. 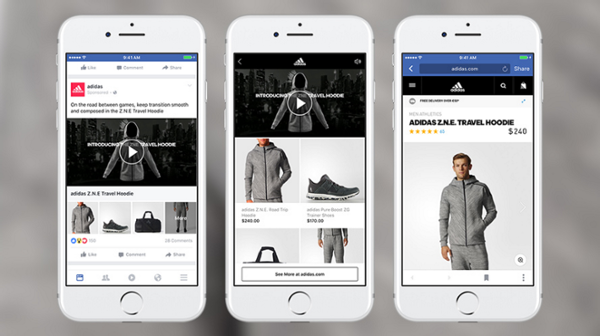 For example, among other new video features such as 360 Video, Live Video, and Lifestage, Facebook also developed an ad format called Collection that allows advertisers to show 4 product images under a video. Meanwhile, Instagram and Snapchat are adding video marketing features, such as shoppable videos, to increase engagement and conversion. Videos can help customers remember your brand and recall more information about your products or services. Visual content communicates information much faster than text (in fact, it’s processed 60,000 times faster in the brain.) People are able to retain 95% of a message when viewing it on videos compared to 10% when reading it in text format. Explainer videos are particularly effective in communicating how a product works. In fact, 98% of users have watched an explainer video to learn more about a product or service. It’s not surprising that the popularity of video is rising alongside mobile technologies as people like to watch videos on the go. It’s found that 90% of consumers watch videos on their mobile devices. As the number of smartphone users grows, we can expect more people to be watching videos on mobile. In addition, Google has found that mobile viewers are more likely to watch and share ads or content from brands. Such affinity also extends offline in the form of people sharing about a brand with others in person. With 51% of marketing professionals worldwide considering video as the content format that delivers the best ROI, you can’t afford to leave it out of your marketing mix. To get the most out of video marketing, you need well-thought-out and properly-executed commercial videos that represent your brand and effectively communicate your products or services. It’ll help reinforce your brand positioning and effectively engage with prospects to build trust and relationships. In his recent CES keynote address, Robert Kyncl, YouTube’s Vice President of Global Content, projected that video would soon drive 90% of all Internet traffic. It sounds crazy, but for small businesses, video opens the doors to opportunities to both educate and entertain your customers. They don’t believe they have the budget to create ongoing videos. They don’t have any ideas on what to produce. They don’t have the necessary equipment and/or time. Fortunately, we live in a brave new world. These excuses don’t hold as much weight as they once did. High-quality video is no longer reserved for large corporate businesses. Everyone – everywhere – has the ability to create or access powerful video footage that engages their customers. When you’re in a store, it’s easy to sell a prospect on the value of your product or service. You’ve been doing that for years, and it’s worked pretty well so far. But things are different online, where losing that potent face-to-face interaction can make selling much more difficult. That’s where video comes into play, as it gives you the opportunity to explain things the same way you would in the store. So, go ahead and show off that winning smile and personality. Video gives you the time to shine. Did you know that 80% of people remember the video ads that they see online? Can you say the same thing about every blog post and social media update you read? Chances are, the answer is no. We’re working in a very crowded and noisy online world. Finding ways to stand out and showcase your creativity can seem like a daunting task. But statistics like this show us that there’s still a way to make a difference. Get your message heard by investing in video marketing. The power of the internet may give us access to more prospective customers than ever before, but it’s still hard to make sales online. Just because you’re working with a larger pool of prospects doesn’t mean it’s as easy as shooting fish in a barrel. You’ll need a strong marketing plan – and you’ll want to include video in that strategy. According to data gathered by Video Brewery, about 50% of all people that viewed an online video went on to make a purchase. If that statistic doesn’t capture your attention, I don’t know what will. What better reason than that is there to use video marketing than to increase your sales? When it comes to most online marketing methods, you have to cater your strategy based on the age demographic you’re trying to reach. Younger users, for example, spend more of their time on Instagram and Snapchat, while middle-aged women have claimed dominance on Pinterest. That simply isn’t the case with video marketing. Everyone loves video – from the youngest to oldest Internet user. With this tactic, your small business can reach its audience, whatever its demographics. Even if you pivot your business and your target market shifts, you don’t have to worry about building your presence on an entirely new platform. Chances are, your new demographic will respond to video, just like your old one. I never thought I’d see the day when mobile users had a longer average attention span than desktop users. But it seems that day has come. Desktop users tend to only stick with a video for about two minutes or less. Mobile users, on the other hand, have an attention span of 2.4 to 5 minutes, depending on the device. As a result, local small business owners should always have a mobile-first mentality. After all, the best time to woo a new prospect is when they’re actively looking for a nearby business in your industry. And a heightened video attention span is just another advantage you can use to accomplish that goal. Reel SEO data shows that 60% of marketers claim video marketing has drastically increased their conversion rates – sometimes even as high as 2-3x. 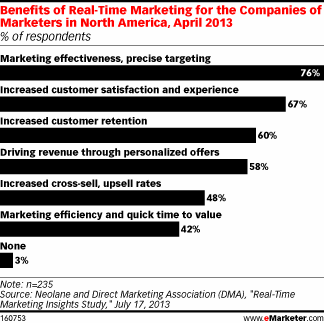 How would you like to see the same click-through rate improvements in your email marketing efforts? I don’t think it’s a stretch to say that most small business owners reading this article would love to see that kind of increased engagement. You can do that through the simple power of video. The videos you introduce to your email marketing messages don’t have to be complicated. They don’t need to feature some elaborate plot or expensive special effects. A simple video of you saying thank you to your audience could do far more than you think. Emotions are contagious. Think about it – when you’re feeling full of energy and happiness, it naturally radiates to the people around you. That’s why it’s usually the small business owners that feel passionate about their work that become so well-known in their communities. You don’t want that infectious passion to get lost in translation, do you? That’s what happens when your online marketing campaigns don’t accurately reflect your brand and personality. In the online world, video makes that happen. YouTube is the second largest search engine in the world. And even better? It’s owned by the largest search engine in the world, Google. Your videos can help your website get ranked highly for keywords that you’d never be able to achieve through traditional SEO. Although marketers have known about this powerful perk for years, it’s an avenue that many aren’t yet fully exploring. If you start now, you’ll be ahead of the game. All you need to do is incorporate a bit of video SEO into each video you create and publish. The best marketing campaigns don’t sell products and services 100% of the time. Nobody wants to feel like they’re being sold to, which is why great small business website feature articles on topics that actually interest the audience. It works the same way with video. You can become well known in your industry by simply educating your audience on a range of topics. Let’s say, for example, that you sell surfboards. It would be easy to get stuck in a rut of making product review videos, but you could also branch out and create how-to videos that reach into the broader topics of surfing. Doing so will give your audience the content they crave in a low-pressure environment. When people see your face, it activates the fusiform facial area of the brain. This section of the mind controls facial recognition using the faces it sees as a centralized point of information and believability. If you show your face to your audience, they become accustomed to it. Scientifically, that builds trust with your audience. And when you can get your customers to trust you, it’s much easier to sell them on your products. When it comes down to it, video marketing is all about branding. You can certainly build a strong brand using other methods online, but once you make the decision to harness the power of video marketing, you’ll find that you’re facing a much easier journey to small business success. With the change and evolution of modern technologies, small and medium businesses are doing everything they can to keep up, which can be said true for the rest of human society. Brick-and-mortar businesses are either changing their business models to an online one, or beefing up existing marketing efforts with digital marketing strategies – in an attempt to capture a growing and very lucrative online marketplace. For it is the process of attracting targeted audiences online that will spell the difference between a successfully thriving business – and a failed one. Even if you receive tons of daily traffic to your website, they would not amount to anything unless they convert to leads or sales. In the digital arena where business and commerce are heading to, Digital Marketing tools and techniques provide business owners the best chances for competition, survival and even business growth. The following 12 reasons will show you why the use of digital marketing is not only investment-wise decision but also an effective marketing channel that can help you grow your business. Gone are the days when business owners still welcome the notion that Digital Marketing is only for the likes of multinationals and large corporations that have the sufficient resources required to mount an online marketing campaign. Digital Marketing actually levels the playing field, providing small and medium enterprises the chance to compete against the big boys and attract their share of targeted traffic. With digital marketing, small companies now have the resources to perform sales and marketing processes that were previously available only to large corporations. Without a call center, small businesses can engage effectively with multiple customers, even to customers from any parts of the world even if they don’t have physical stores or branches in these locations. Small businesses have very little resources and even capitalization. This is why Digital Marketing provides them with a better and much more cost-effective marketing channel that delivers results. Gartner’s Digital Marketing Spend Reporthighlighted that up to 40% of respondents claimed getting considerable savings by using digital marketing methods of promotion for their products and services. That is why according to the Gartner survey, 28% of business owners surveyed will shift marketing budget allocations from traditional media channels and invest them into digital online marketing tools and techniques. 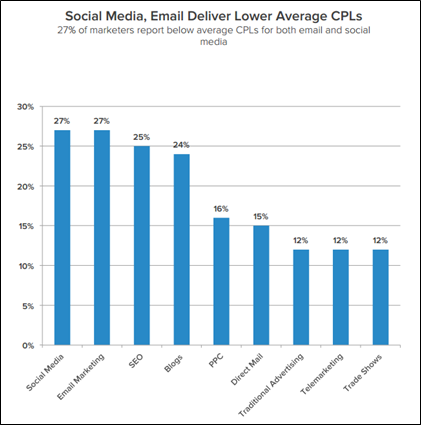 HubSpot confirms this as shown in the chart below that confirms how digital marketers get better Cost-Per-Lead (CPL) compared to other marketing channels. Businesses marketing products and services online measure success by the percentage rate of incoming traffic gets converted into leads, subscribers or sales, depending on the intended purposes of your website. Without conversion, all your traffic would mean nothing and all your marketing efforts will simply go to waste. That is why business owners are streamlining their digital marketing campaigns towards conversion optimization, making it a top priority above everything else. There are several tools and techniques that you can use for your digital marketing campaign such as Search Engine Optimization, social media marketing and email marketing. 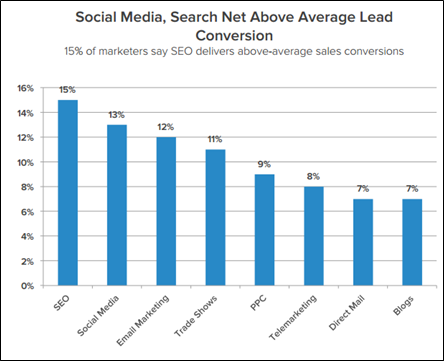 As seen from the chart below from HubSpot’s 2013 State of Inbound Marketing Report, these three that generate quick and effective communication and interaction with targeted audiences will deliver better-than-average results in terms of higher conversion rates. Higher conversion rates generated by effective digital marketing techniques will deliver loads of profitable benefits for you and your business in terms of better and higher revenues. Google confirms this in a study with IPSOS Hong Kong, claiming 2.8 times better revenue growth expectancy for companies using digital marketing strategies to those who do not. With better revenue growth expectancy, small and medium enterprises using digital marketing techniques will have 3.3 times better chances of expanding their workforce and business – opening their doors to better, larger and farther reaching markets both locally and abroad. Google’s Asia-Pacific Head of SME Kevin O’Kane describes the Internet as rocket fuel for growth for small and medium enterprises. One of the reasons why digital marketing is taking over traditional marketing channels is the ability of Internet marketing tools to interact with targeted audiences in real time. Engagement in any form is what your customers expect to receive when interacting with your brand or business. How your business handles such engagements and interactions will spell the difference between business success and failure – just like what eMarketer’s report Key Digital Trends for 2014 is saying as shown below. Interacting and providing your customers with proper engagement points can give you an insight of what your targeted audiences want. This vital information will steer you towards making the right set of next moves, provide your customers with an even better experience, develop good relationships with them – gaining their loyalty and trust that you will need when your business begins to grow. Undoubtedly, mobile internet will be the next wave of information dissemination and communication channel, brought about by the rapid proliferation of smartphones, tablets and other internet-enabled devices. These mobile devices have become a central part of American life that 91% of adults in the United States always have their devices within reaching distance. Now would be the best time to have digital marketing campaigns intended towards mobile consumers, paving the way for them towards achieving better growth and faster expansion. Mobile gadgets have evolved from being mere alternatives for laptops and personal computers, into something that is influencing their purchasing decisions as confirmed by another report from eMarketer. The power of digital marketing lies in its ability for attracting targeted traffic. These types of audiences for your content are most likely already ready to know more about your brand, products or services and may be interested enough to purchase what you have to offer. Delivering on what you promised will help you develop a better relationship with your targeted audiences, help them transition into paying customers that will go back and interact with your site some more – on a regular and continuous basis. This will prove beneficial for your brand reputation, as satisfied customers will most likely tell other people about their experience with your brand, product or service. Your brand reputation will go viral as expected, further opening new doors of opportunities for reaching bigger markets and attain business growth. With better revenues and better branding, Digital Marketing can provide a better Return of Investments (ROI) than traditional media and marketing channels. With traditional media, the cost is too exorbitant for small and medium enterprises to leverage on, and the results received are somewhat vague and difficult to measure. Digital Marketing on the other hand can easily be tracked and monitored, with results immediately realized and measured as soon as targeted audiences provide contact information, subscribe to a newsletter or training program, or make a purchase. The key to success in Digital marketing however, is to generate a steady flow of targeted traffic that converts into sales and leads. The more your business generates this kind of traffic, the faster you can realize your ROI. Digital Marketing rides on the current online trend that focus more on social media signals resulting from direct and more personalized interaction between a brand or business and their targeted audiences. In the Nielsen Global Online Consumer Survey that involved 25 thousand consumers coming from at least 50 countries, 90 percent of respondents claimed they would trust information about a particular brand, product or service if the data comes from people they know. Digital Marketing leverages on social media signals, social proof and testimonials from actual consumers who have previously purchased, joined, or availed of a product or service marketed by a particular brand or business. The more reliable these social signals are, the higher the trust rate it can generate from targeted audiences – most of which can be potential customers. While social signals and testimonials help earn trust from targeted audiences, Digital Marketing makes use of effective strategies that will entice people to take a favorable action your brand or business intends them to take. Conversion to leads or sales is still initiated and under full control by the website visitor. They are not compelled to do so but digital marketers can make use of clever and innovative ways to entice conversion using Calls-To-Action. Calls-To-Action specifies what your web visitors should do next – either to sign up, like, download something, call or buy – specific steps that will entice them to perform a favorable action. Innovative forms, buttons and texts are optimized according to copy, color scheme, graphics and even positioning on the page to generate the best results in terms of generating favorable action. The “Internet of Things” is a global ecosystem of interconnected devices – tablets, smartphones, gadgets, appliances and more – that can interact with each other through the Internet. Sounds like something from a Sci-Fi thriller, but this is what the projected 24 billion gadgets by the year 2020 will actually head to. Digital Marketing will prepare your business towards this eventuality, an interconnected ecosystem that will permeate through every aspect of people’s lives. Survival for your business in the era of the “Internet of Things” means inclusion in this interconnected grid – giving you an access window to reach out to targeted audiences belonging to this online grid. It is a normal occurrence for brick-and-mortar business establishments to encounter visitors entering their store, skimming through and inspecting products, then leave without buying anything. Many kinds of people like these come and go, but a targeted few will actually make a purchase and if satisfied, will come back for more on a later date. If you get less of the later and more of the few, sooner or later your brick-and-mortar business will cease to exist. Your business can be likened to this. Even if you have tons of website visitors but none of them ever convert, your business will also cease to exist. Digital Marketing helps you make use of proven strategies and techniques that attract not necessarily more traffic – but highly targeted traffic that delivers results. Targeting the right kind of people that delivers the right kind of results is what Digital Marketing is all about – ensuring survival for your business. Are you one of those entrepreneurs who doesn’t believe your business needs a website? Sometimes I feel like I’m trapped in a small business version of the movie Groundhog Day. I can’t recall when I first learned that only 50 percent of small business owners had websites, but I’m guessing it was it was at least two decades ago. And yet, in 2018, according to Blue Corona, about “50 percent of small businesses have invested in a website.” In another report from CNBC from last June, “45 percent [of small business owners] say they don’t have a business website.” Are you one of those entrepreneurs who doesn’t believe your business needs a website? A more modern excuse for not needing a website is, “I’m on Facebook” (or Twitter, Pinterest or Instagram). While I applaud those who understand the importance of having a social presence, they misunderstand the primary purpose of social media—which is marketing. Social media is not a substitute for having a website. In fact, one of the goals of having a robust social presence is to drive consumers to your website. In short, your business needs a website. 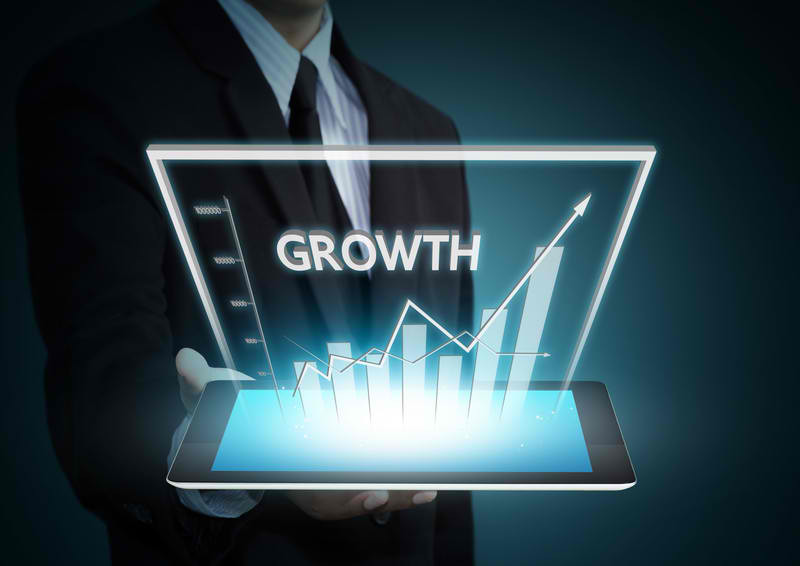 There are numerous reasons having a website is crucial to a small business’s growth. One of the most important ones is control. When you build a website, it’s yours. It’s all about your brand. Whether you DIY the site or hire web designers to create it for you, the end result is 100 percent yours. It’s up to you to decide on design, content and goals. If you rely on social media as a website substitute, you cede control to someone else (which is the opposite of being entrepreneurial). You must use their design, abide by their rules and drive consumers to their site. In essence, you’re spending money to promote their brand. Plus, these companies change their algorithms and policies all the time. You have no control over the fate of a social site. In the last several months, we’ve all heard about high-profile people deleting their Snapchat and Facebook accounts, which often leads to other people deleting their accounts. This trend can create an overall negative impression of that social site—which can spill over to your company. And of course, no one can guarantee any social media platform will be around for the long term. Remember MySpace? It was the world’s largest social networking site from 2004 to 2010. Not having your own website can hurt your sales. 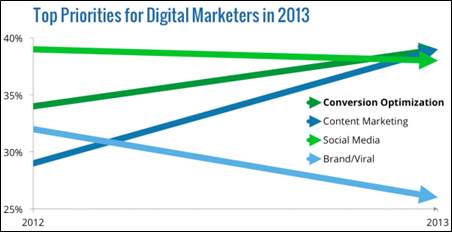 If your marketing directs consumers to a social site, can they make a purchase there? In most cases, they cannot. Consumers often look up a business online, before they decide to do business with you. If you don’t have a website, what will they learn about you? Most consumers today consider businesses without websites to be less than trustworthy. Nearly two-thirds (63%) of consumers turn to the web when they’re searching for local businesses, according to a study by the Local Search Association. What’s more, the LSA reports, business websites are the number-one place shoppers go when they’re ready to buy something. Simply put, every business needs a website, and there is no longer an excuse not to have one. It’s more affordable and easier than ever before to set one up. First step: You need a name. For maximum effectiveness and credibility, you need your own domain name (e.g. YourBusiness.com). That is how you build a brand. That is how you create a consistent online “home” for your business. That is how you give your customers and prospects direct access to your business. Once you choose your domain name and register it, you need to create an effective website. Remember, your ultimate goal is to drive consumers to your website so you can convert them into customers. Think of your website as a hub, and everything you do to promote your business (social media marketing, SEO, content marketing, and online ads) as the spokes. Together they’re a powerful tool that drives traffic, builds awareness, attracts new customers, better engages with current clients, and creates a stronger business primed for growth. 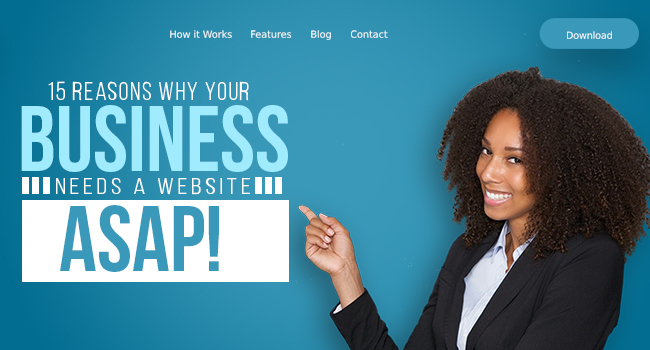 15 Reasons Why Your Business Needs a Website ASAP! Are you starting a business and got confused about the fact that why business needs a website?You’ll be shocked to know that around 46 percent of small businesses didn’t have a website in 2016 but within a year the percentage dropped to a staggering 29 percent. So what made people change? Why does customers are showing lot of interest in online stores? You won’t ever have to put up a closed for the business sign after you have a business website. Customers can take a look at your products and buy them even when you aren’t available. It means you are selling your services and products 24 x 7. However, you need to have a support of a experienced and skilled web development team for assistance. When you have an offline business, you only cater to a limited number of clients, but when you are online, you can target a larger market. Your working hours are longer than the usual and no matter what you sell, products or services; you are doing so at the place at very minimal costs. Nowadays, it is all about putting your company on the global map. The more countries you cater to the more successful your business will become. And that is exactly why your small business needs a website. You have a small price to pay to cater to clients all across the seven seas without being there physically. Young people spend a lot of time online and prefer online shopping than actually visiting the shopping centre. Having an online business means you can attract the youth, who spend on gut instinct rather than doing their research. Customers are always interested in knowing what inspired your company to start. When you are in charge of publishing about your company, you have a better chance of impressing the client because no one knows your business better than you. It doesn’t mean you brag about your brand, but you can help engage your clients and increase their interest. Add a blog to your website so that your customers feel that you are giving them something and not only interested in making money. If you are running a business, it is obvious that you will need to have social media presence on Twitter, Instagram, and Facebook. It increases your brand’s value, especially if you upload creative photos, interact with your customers, and host giveaways and competitions that will attract you quality attention. Websites are the step one of any marketing plan and come before designing brochures and business cards. Make sure that every marketing campaign you start should be on the landing page of your website so that visitors see it when they open your website. Design your website in such a way that you convert these visitors into clients. Having a business website makes your business more credible and legitimate. We live in a digital world, and it is a common notion to think that if you have a website for your business, your company is real and isn’t fooling people, just like a couple of decades ago it was important to have a physical address. However, it is essential that you present your business in an attractive and glamorous but a well-structured manner. Improve your interaction with your clients by having a customer support page on your website. It helps especially when catering to more than one country. It is beneficial for businesses that can’t afford a phone service. You can also upload an FAQ page for customers so that they can get their queries solved before bothering you. A business website brings you closer to your business goals. You need to be true to your work and profess quality and value to make your business a success. To feel accomplished and stay competitive, create smaller goals rather than a large one. It also gives a structure to your business, and you get a clear idea about how to run the company. Report says in 2016, the e-commerce industry in India was $675 billion, which means if you don’t have a website you are losing out on a lot of money. Percentage of online sales is growing exponentially every year. You don’t need to give up on your physical store because it is important as both combined together will give you maximum revenue. Develop your business website with CMS that allows you to test new ideas and visitors can tell right away if it is working or not. You aren’t wasting any money because you can try the ideas free of cost. Planning to introduce a product? Put it on a website for a couple of days and make it look as attractive as possible and see if people are liking it or not. You can open a free website on WordPress initially if you are low on budget. See how it works, earn some money, and when you have enough money, contact a e-commerce web development company and seek their assistance in making a robust full-fledged website. It is simple. Because your competitor has a business website, you need to have one as well. Customers research a lot before buying a product, and if you don’t have a website, you are helping your competitors gain traffic. It also means that you are failing to keep up with the latest technology and giving up on making your business a success. Website is not only for your customers but employers as well. Create a subdomain for your employees, which they can use to upload pictures, instructional videos and guides to help customers. It will also make your employees feel valued. Your staffs are not an expense but an investment that will reap you long-term benefits when treated right. So what is branding? And why is it so important for your business? Branding goes way beyond just a logo or graphic element. When you think about your brand, you really want to think about your entire customer experience…everything from your logo, your website, your social media experiences, the way you answer the phone, to the way your customers experience your staff. When you look at this broad definition of branding, it can be a bit overwhelming to think about what is involved in your brand. Many small organizations and start-ups neglect to spend necessary time thinking about their brand in this broad sense and the impact it has on their business. People tend to do business with companies they are familiar with. If your branding is consistent and easy to recognize, it can help people feel more at ease purchasing your products or services. In today’s global market, it is critical to stand apart from the crowd. You are no longer competing on a local stage, your organization now competes in the global economy. How do you stand out from the thousands or millions of similar organizations around the world? Your full brand experience, from the visual elements like the logo to the way that your phones are answered, tell your customer about the kind of company that you are. Are all of these points of entry telling the right story? A clear brand strategy provides the clarity that your staff needs to be successful. It tells them how to act, how to win, and how to meet the organization’s goals. People wear brands, eat brands, listen to brands, and they’re constantly telling others about the brands they love. On the flip side, you can’t tell someone about a brand you can’t remember. Additionally, a strong brand website strategy, like backlinks, is critical to generating referrals or viral traffic. A brand that is consistent and clear puts the customer at ease because they know exactly what to expect each and every time they experience the brand. It is important to remember that your brand represents you…you are the brand, your staff is the brand, your marketing materials are the brand. What do they say about you, and what do they say about what you’re going to deliver (promise) to the customer? A clear brand strategy helps you stay focused on your mission and vision as an organization. Your brand can help you be strategic and will guide your marketing efforts saving time and money. A good brand connects with people at an emotional level, they feel good when they buy the brand. Purchasing is an emotional experience and having a strong brand helps people feel good at an emotional level when they engage with the company. A strong brand will provide value to your organization well beyond your physical assets. Think about the brands that you purchase from (Coca-Cola, Wrangler, Apple, Ford, Chick-Fil-A, QuikTrip)… are these companies really worth their equipment, their products, their warehouses, or factories? No, these companies are worth much more than their physical assets…their brand has created a value that far exceeds their physical value. The best branding is built on a strong idea… an idea that you and your staff can hold on to, can commit to, and can deliver upon. Your brand needs to permeate your entire organization. When your organization is clear on the brand and can deliver on the promise of the brand, you will see tremendous fruit while building brand loyalty among your customer base. If you need assistance with your brand, from creating your initial brand strategy to the visual identity elements, contact us for a free consultation…we’d love to help you identify and share your story!